Steam traps and valves require periodic maintenance, easily applicable and removable jacket type insulations are more appropriate rather than fixed insulation applications for these armatures. A valve jacket is a simple and smart solution for preventing heat losses around the valves at hot or cold liquid transporting pipelines. Thermal energy benefit by jacket type insulations is dependent on some factors likewise process temperature, ambient temperature and wind speed. Un-insulated valves cause energy loses, reducing energy loses to the minimum level by using valve jackets helps to reduce operation costs. Easily removable valve jackets make the maintenance easier. What is the cost of each un-insulated valve to you? Each valve or steam trap with no insulation in your business, causes thermal lose as much as its surface area. But, what does that really mean? Let’s explain it by an example. In case that an un-insulated globe valve (4”, DN 100) is used in an fluid system at 160 °C; it causes 1.199 watt energy lose hourly, this is equal to 629 m3 natural gas consumption. Calculations are based on ASTM C 1129-12 standard. Assumptions: Wind velocity (2 m/s), ambient temperature (25 °C), emissivity (0, 95) *Annular operation time is assumed 5000 hours and the price of natural gas is 0, 4 Euro. Calculations are done for globe valve with flanges. Thermal Camera Images Proove the Difference! 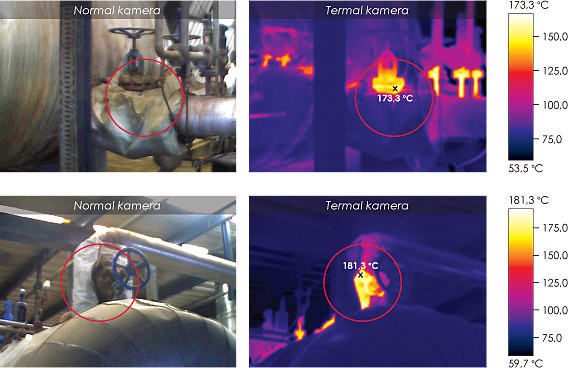 The best way of discover the thermal losses in your business is to use a thermal camera. We are aware of the superior performance of Ayvaz’s valve and steam trap jackets and would like to share it with you! You can save up to 90% thanks to the insulation performance of Ayvaz’s valve and steam trap jackets. Your investment pays for itself very quickly and you’d start making profit! 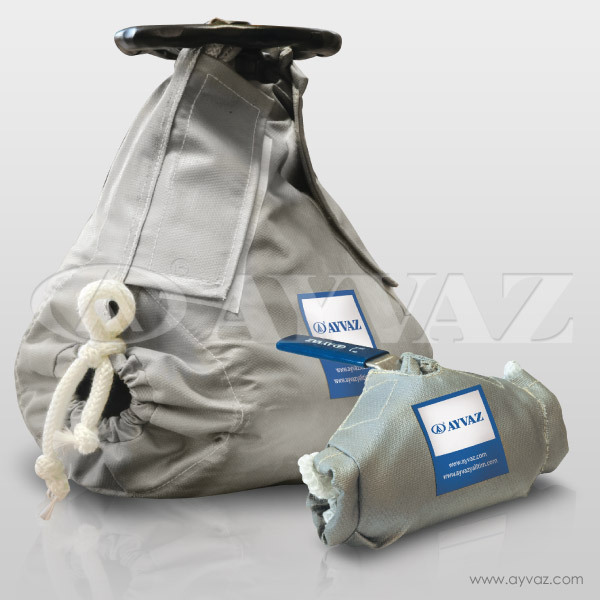 Ayvaz’s valve and steam trap jackets are designed to minimize the energy losses. Aspen aerogels hydrophobic insulation materials with low thermal conductivity are used in our jacket designs. Cryogel X201 is used for the applications between 0 °C and 200 °C and Pyrogel XT is used between, 200 °C – 650 °C. Fabric selection for Ayvaz’s valve and steam trap jackets is done according to the system temperature. Fiber glass fabric with silicon cover (80gr-100gr) is commonly used. 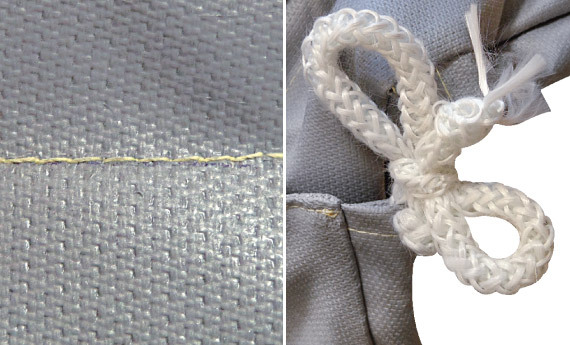 Sewing of the fabrics is completed by Kevlar and stainless steel wires. Braided fiber glass ropes with high temperature resistance are preferred around the tying points. Our jackets are available for all valve and steam trap types from DN25 up to DN300. Please contact our sales team for other sizes of steam trap and valve jackets. Ayvaz’s valve and steam trap jackets produced with hi-tech insulation materials with low thermal conductivity reduce the heat losses and provide high thermal and economic benefits. Aspen Aerogel insulation materials (Pyrogel XT, Cryogel X201) are typically 2-4 times thinner than other widely used insulation products. That provides more compact designs to our valve jackets and makes the installation easier. Despite of their soft and flexible structures, Ayvaz’s valve and steam trap jackets recover their thermal performance even after extremely high compression events with their excellent spring back features. High water resistance of the jackets offers a level of protection against damp. Reduced material volume, high packing density, and low scrap rates can reduce the jacket sizes with a factor of 3 or more compared to the other jackets made by classic insulation materials. 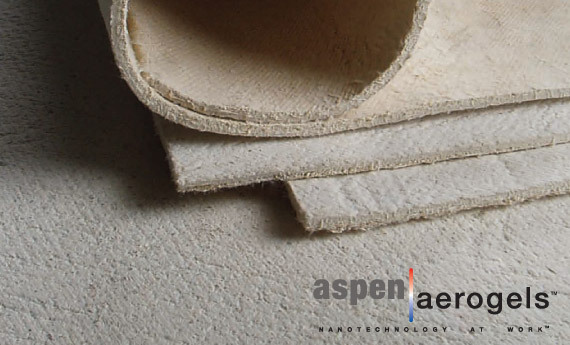 Aspen Aerogels insulation materials have high tensile and compressive strength. Jackets can be applied and removed over and over again with no deformation for a long time. Landfill disposable, shot free, with no respirable fiber content. Why Are The Cheaper Solutions Actually More Expensive? You use insulation materials in order to reduce energy loses in your business and this is so right. But if you take “the price” as your priority while making your decision among different options, you are probably wrong. Focusing the cost while buying valve or steam trap jackets may be tricky! Rock wool jackets that seem economical in the first glance offer short service life. That is why the insulation performance of those products will reduce within the use of couple of years and you may have to renew them. You need to pick high performance products with long service life in order to reduce your energy costs. 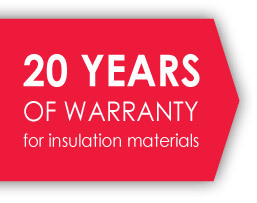 Ayvaz promises 20 years of warranty for the insulation material used in the valve and steam trap jackets and 10 years for overall product. Our products will pay your investment shortly. Rock wool jackets are easily affected from the moisture and mechanical compulsions what make them loose their performances. However, Ayvaz’s valve and steam trap jackets always provide the same high performance! You can’t make saving as much as you think with using Rock wool jackets. Here is the proof. A thinner jacket enables you to assembly at very narrow and limited spaces. That saves on time and laboring during installation and maintenance. That is because, our jackets are highly resistant against physical deformations, and they keep their superior performance after many times of disassembly and re-assembly. To learn the prices of Valve Jacket Prices, please visit our contact page.